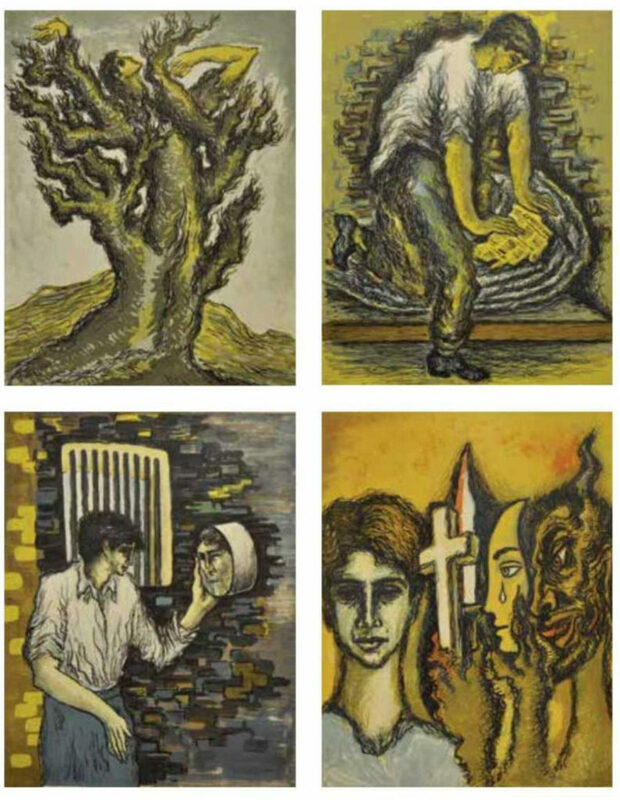 Artist Syed Sadequain Ahmed Naqvi (1930-1987) was born Amroha, a North Indian town, into a family of Quranic scribes. Post partition, he moved to Pakistan where he ushered in the renaissance of Islamic calligraphy. His unique style became widely referred to as ‘Khat-e-Sadequaine’. Contrary to popular calligraphic tradition, much of his imagery was grotesque. In his paintings there were recurring themes of cacti and crows, and crucified figures and bodies trapped in webs. It is said that once at a Karachi seaside desert he observed a wild growth of cacti in the scorching heat. Watching them stand tall and shoot upward defying all climatic odds, emblazoned them as powerful symbols in his mind. His series with cobwebs and crows had allusions to social inequality and were a commentary on the state of moral depravity and injustice. Accounts of his personality range between calling him a Sufi to calling him a drunken schizophrenic. However, he is one of Pakistan’s most prolific artists. An interesting man, it is said he preferred to gift away his artworks rather than sell them. From within his oeuvre, the most interesting tid-bit we found was a completely unique project. 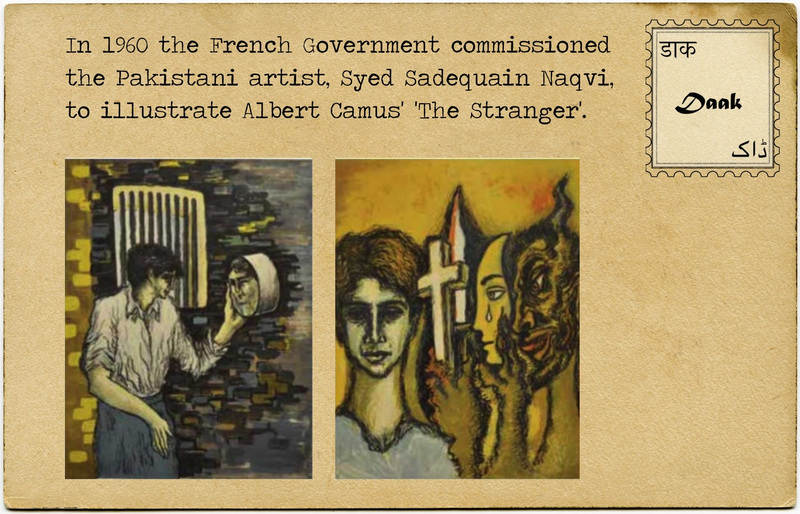 In 1960 the French Government commissioned him to Illustrate Albert Camus’ ‘The Stranger’ (L’Etranger). 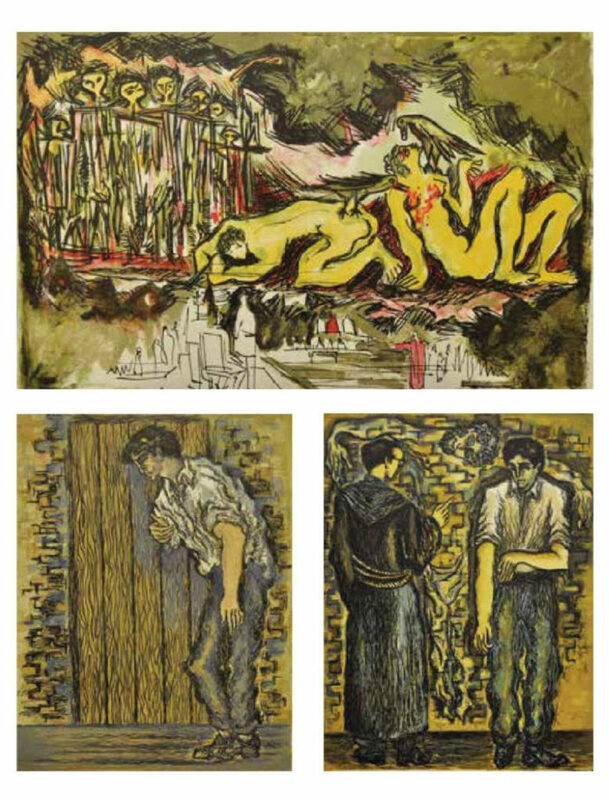 That Sadequain was chosen for this task shows the impact and influence of his work in Paris. The book was launched at a gala dinner in Paris on 27th October, 1966. The book was published in a limited edition of 150 copies. Each copy was printed on ‘velin de Rives’ with deckled edges and issued loose in green cloth portfolio with gilt title on spine and contained in a matching cloth box. 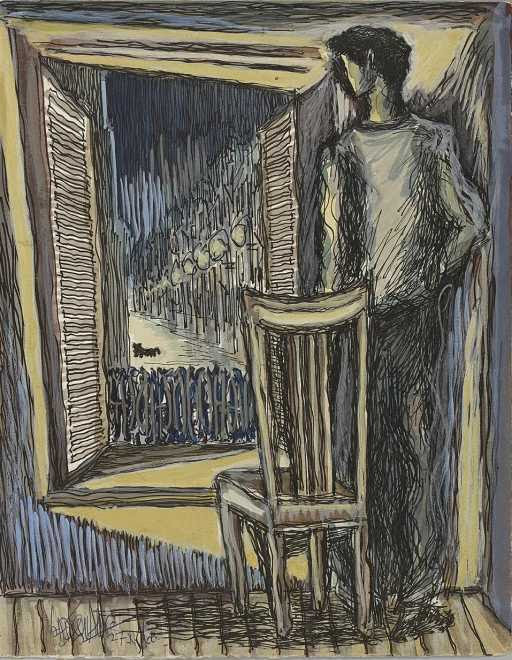 A copy in a 2008 Osian’s New Delhi auction sold for Rs 2.8 million. 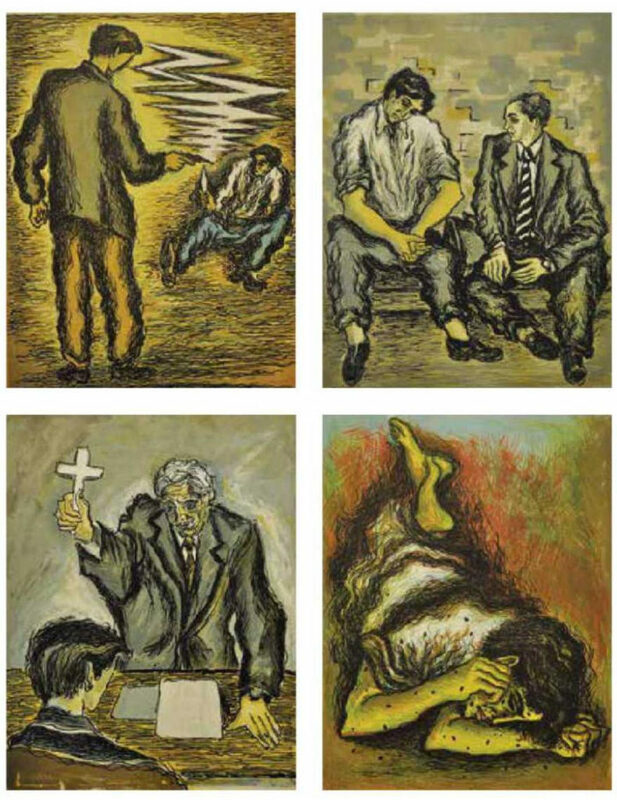 Sadequain created 22 color prints, and a number of monochrome prints to illustrate key scenes in the book. Here is a selection of some of these images.